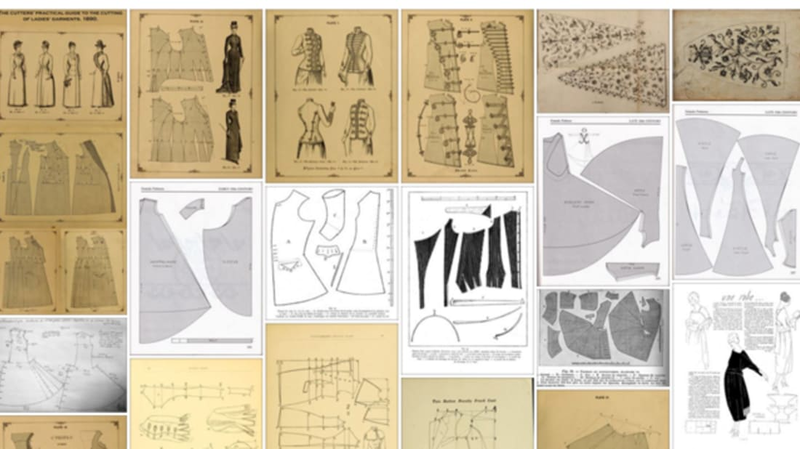 Looking for patterns for your next dress? Skip that trip to the store. There's a whole slew of patterns, designs, and tutorials made by the seamstresses of the past—and Artemisia Moltabocca has already done the heavy lifting of collecting them for you. The seamstress' blog, CostumingDiary.com, has an extensive collection of medieval, Elizabethan, and Victorian patterns free to use—and likely to make any dressmaker salivate. While the blog post shares a wide variety of websites and tutorials, the real treasure is on Moltabocca's Pinterest page. There you can find a plethora of different patterns from a wide variety of time periods. Some highlights include a 1920s coat, a 1930s capelet, and an 1860s petticoat skirt. Armed with these patterns, seamstresses can be retro chic in no time. You can also follow Moltabocca on Facebook or Twitter. Images courtesy of Artemisia Moltabocca.